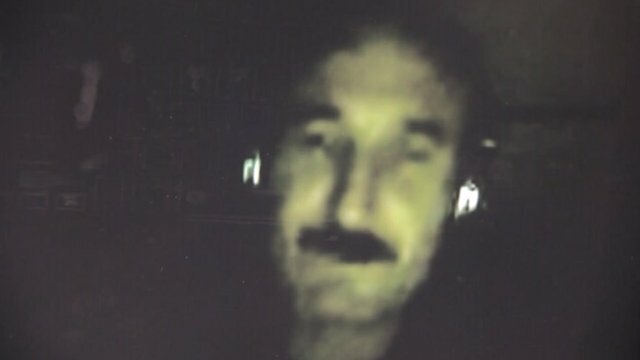 Undercover with Syrian army defectors Jump to media player The BBC's Paul Wood was smuggled into Syria from Lebanon, and has spent a week undercover in Homs with Syrian army defectors. 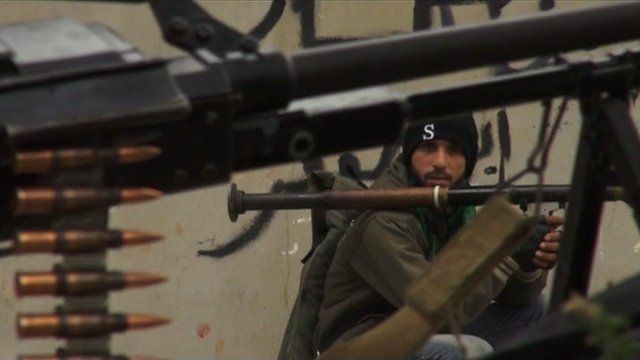 Syrian rebel leader waiting in Turkey Jump to media player The BBC's John Simpson tracks down Colonel Riyad al-Asad, the leader of the rebel Free Syrian Army, who is waiting in Turkey and hoping for the overthrow of the current president, Bashar al-Assad. 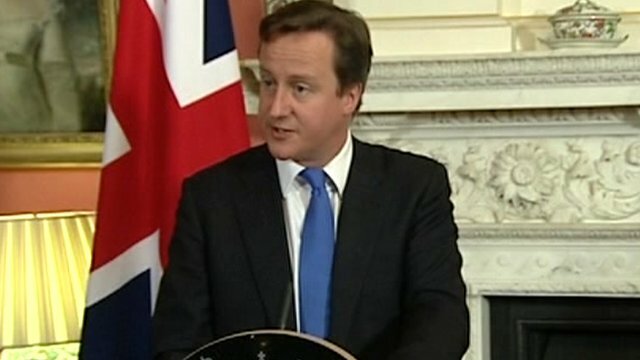 Cameron fears Syria 'civil war' Jump to media player Prime Minister David Cameron says that "a full-scale civil war is now a real possibility" in Syria. The Free Syrian Army is made up of pro-democracy protesters and soldiers who have defected from the Syrian Army. They are calling on the international community to impose a no-fly-zone and to create a safe area near Turkey. The BBC's Paul Wood and cameraman Fred Scott were smuggled into Syria from Lebanon, and have spent a week undercover in Homs. They are the first journalists to have spent time with the Free Syrian Army inside the country.